Present state: Demolished - overbridge on Castle Lane removed, but bridge abutment & embankment still in situ at west side of road. The halt was on the embankment. Notes: Westhead Halt was situated on the Lancashire & Yorkshire Railway (LYR) Rainford Junction and Ormskirk line which had opened as a through route on 1 March 1858. 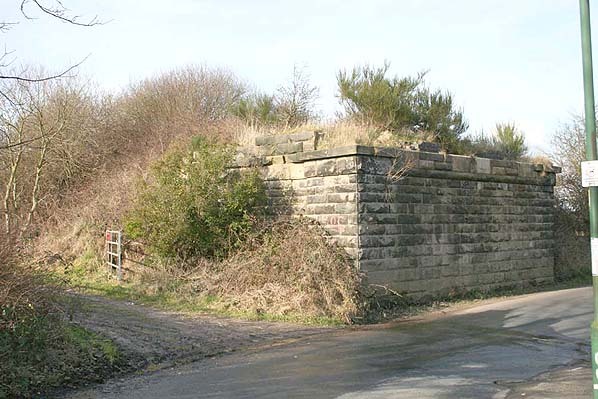 The section of line on which Westhead Halt was later located had opened in 1849/50 as a branch that connected collieries in the Skelmersdale area to the LYR Liverpool and Preston line at Ormskirk. When the line opened to passengers there was only one intermediate station and that was at Skelmersdale (originally called Blaguegate). The line made an end on connection with the St Helens and Rainford Junction railway at Rainford which allowed for through running. Passenger services however ran into Rainford Junction station which was located on the Liverpool and Wigan line. At Rainford Junction there were timetabled connections to and from St Helens as well as the travel opportunities offered by the main line. The line was originally a single track railway but it was doubled in 1875. 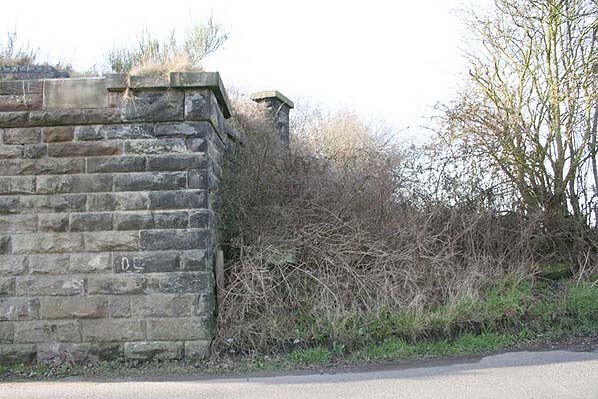 The LYR opened Westhead Halt on 1 July 1906 in the hope of capturing extra traffic. It was located to the north-west of the settlement of Westhead on the west side of Castle Lane. The line passed over Castle Lane on a bridge and steps led up to simple low level platforms from each side of it. In 1907 a railmotor service using Hughes Railmotor's and trailer carriages was introduced onto the Ormskirk and Rainford Junction service and halts were opened on the line and an additional halt was opened at White Moss. Four years later in 1911 another halt was opened at Heys. With the introduction of the railmotor the passenger service was intensified and there were 19 trains in each direction Monday-to-Saturday. As with the services prior to the introduction of the railmotor there were connections with St Helens services at Rainford Junction. On 1 January 1923 Westhead Halt became part of the London Midland & Scottish Railway (LMS). By the 1930s the LMS had replaced the railmotor with a push and pull locomotive and coaches. On 1 January 1948 Westhead Halt became part of British Railways [London Midland Region] (BR[LMR]). On 18 June 1951 BR[LMR] withdrew the passenger service between St Helens and Rainford Junction and closed all of the intermediate stations. They also closed the three halts on the Rainford Junction - Ormskirk line Westhead seeing its last trains on Saturday 16 June 1951. Consisting of only simple low level platforms all traces of Westhead Halt would have quickly disappeared. A passenger service continued to operated between Rainford Junction and Ormskirk calling at the Skelmersdale until it was axed on 5 November 1956. Through goods services continued to run until 16 September 1961 when the section of line between White Moss Crossing and Bushey Lane Junction was taken out of use. After the line closed as a through route a goods service ran between Ormskirk and White Moss Crossing until Monday 4 November 1963. Westhead saw trains once again from 21 September 1964 when track lifting began. The section of line between Bushey Lane Junction and Skelmersdale had been taken up by 2 November 1964 and there then seemed to be a lull. Sometime after January 1965 the line was taken up from Skelmersdale to the bridge at Westhead. The bridge itself was also removed but track was still present between the halt and Ormskirk in June 1968 ( the section of line having been retained for wagon storage until 1967). 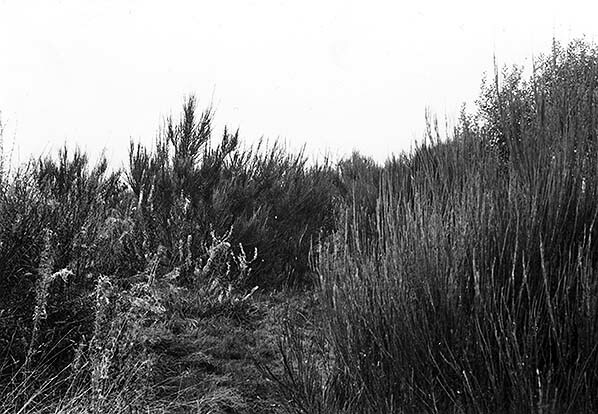 The site of Westhead Halt seen looking north-west in October 1982. Westhead Halt shown on a Skelmersdale Station Masters area signalling plan from the 1915-19 period. To the south-east of the halt there was a siding which at the time of the plan was controlled by Westhead signal box which is also shown. Westhead Halt shown on a 2:1,500 scale map from 1926. Westhead Halt shown on a six-inch scale map from 1926. 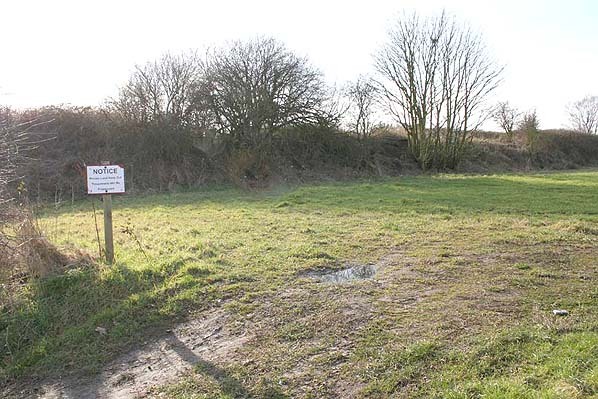 The site of Westhead Halt (on the embankment) seen in February 2006. Looking north towards the site of Westhead Halt in February 2006. The halt was on the embankment. A view looking north-west at Westhead Halt in February 2006. The access to the Rainford Junction direction platform would have been to the right of the bridge.